Hair is considered as an asset of Beauty. The length, texture, density and color contributes to the beauty of one’s hair. 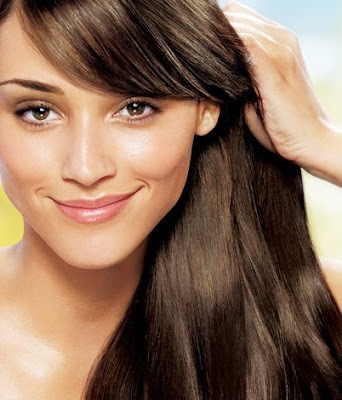 Proper Hair care is proved beneficial in the long run, maintaining the beauty of one’s hair. Apart from basic care with Shampooing and Conditioning, one should also use proper Hair brush that plays a pivotal role in maintaining the beauty of Hair. Do you know how brushing hair properly helps to maintain beautiful and gorgeous hair? Brushing Hair in a proper way, invigorates the sebum flow and also increases the blood circulation which keep hair healthy. Brushing hair cleans dirt from scalp, increases blood circulation and detangles hair shafts. It eliminates Shampoo and Conditioner residues on scalp. It also stimulates oil producing glands which keeps the pores open to breathe and retain the natural oils. Brushing makes hair look good and presentable, If done properly it can even add volume and bounce to Thin and limp hair. It is advisable to Brush hair twice a day: Morning and At Night. Brushing is a form of Dry Shampooing, which non-toxically cleans the scalp of styling products or shampoo residues. With Brushing, it stimulates the sebum evenly throughout the hair and scalp which acts lubricating for Hair shafts and results in less hair fall and tangling. How to Brush your Hair: Which brush to use? Using a proper Hair Brush is equally important as the method of Brushing. It is advisable to use Natural Bristle Brush as they are gentle on the scalp. Natural Bristles brush are identical to Human Hair. It should be Moderately soft and thick at once, which does not scratch or irritate scalp. Synthetic Brushes help your Hair dry faster than the natural one, It is better to keep both the brushes handy. The width and broadness of the brush should be according to the length of one’s Hair. The longer the hair the broader should be the brush, to avoid tangling and breakage of hair. 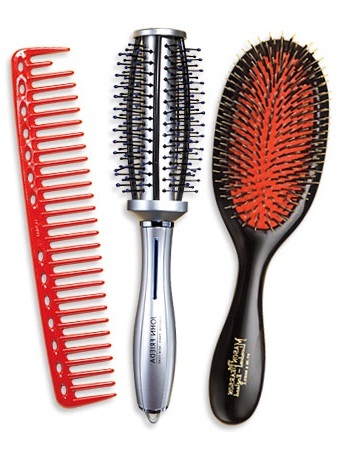 If your Hair is thick and coarse, choose Paddle Brush to smooth out frizz and tangles. Round vented brush is used for styling and adds Volume and Bounce to thin and fine hair. Using a Natural Bristled Brush, work with your Hair ends first to prevent Tangles and knots. Place your palm on the Hair roots and brush the ends, this will prevent pulling out of hair and will hurt less. Keep advancing up while brushing Hair from the Ends towards up. Do not apply force as you may pull out hair and tangle more than there is already. Separate Hair in to two parts, take both in the front. Brush out one side in the same way. Starting from the ends and working upwards to avoid breakage and tangle. Follow up with another side a swell. Pull all your Hair Back, If you use any Serum or Styling Gel or mousse. Take on to your palm and work apply from the start of neck and work it downwards. Do not apply on the under hair, just apply serum or styling product on the outer layer of Hair. Let the serum or styling product sink into the hair shaft, wait for 2-3 minutes. And now Brush all your Hair together from the Roots to ends with gentle strokes. This will further detangle the hair. Brush your Hair for atleast 5-6 times, in the same manner. Keep it gentle to avoid breakage and tangle. This step is optional, but crucial for Women with thin and fine hair. Bend downwards and brush your hair out from Roots to tips. Same manner as we did it backwards. This process adds volume and bounce to hair, especially thin and fine hair. Flip the hair Backward and work again with gentle strokes or even with fingers. This adds bounce and volume while making it easy for tying hair in Braid or Ponytail. You hair are brushed and are ready for further styling. It is important to go through these steps while Brush your hair twice a day. 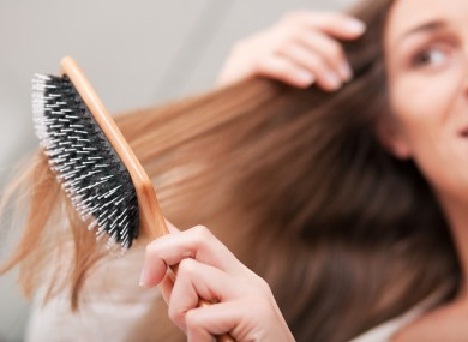 You can eventually skip Serum or Styling product for Brushing hair at night. But Brushing them this way is beneficial. The first step, that detangles and makes hair manageable to brush. The second way, parts Hair into Parts and works better and effectively concentrating on less breakage and tangle. And third way which works first Backwards and then Frontwards further detangling while adding bounce and volume. You can massage scalp prior to Brushing your Hair, which will help in healthy Hair growth as well as scalp. Never Brush your Hair wet, It can lead to breakage and split ends. With using Your Hair brush every day, there are high chances that it gets dirty more than usual, so it advisable to clean your Hair brush every day. If you use dirty brush, the dirt and residue may get into your scalp. Do wash your Natural Bristle Hair brush with Mild or Baby Shampoo to avoid your Brush bristles turning Harsh or Dry. There is no truth, but a myth that If you Brush your Hair 100 times a day, they will be healthy and shiny. It is more than sufficient if you Bush your Hair just twice a day, Morning and at Night. Hope you find this article helpful as we easily believe in Myths and try various things out of unawareness. Do You Brush your Hair properly?